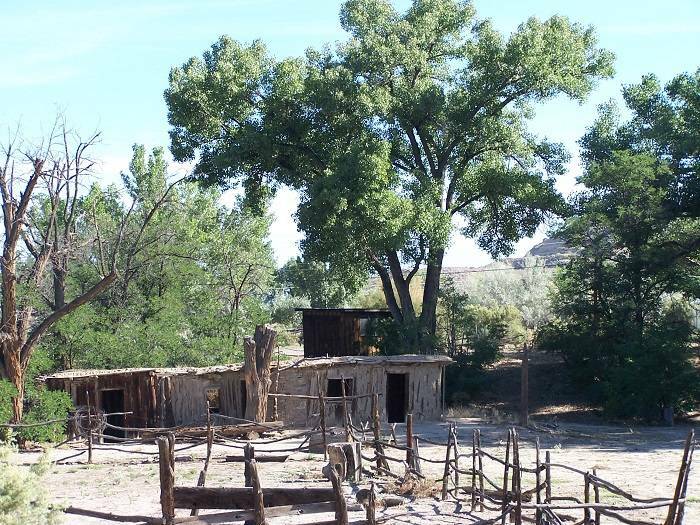 Located 10 miles east of Farmington, Salmon Ruins (pronounced sol-mon) is a must for visitors to the Four Corners region. The ruins at Salmon Ruins features one of the largest outlying colonies built in the Chacoan style during the 11th century. Heritage Park is comprised of reconstructed dwelling and habitation areas, allowing visitors to investigate replicas of a sweatlodge, hogan, tipi, and pithouse. The Salmon Ruins Museum features ancient artifacts and interesting "new" exhibits. This historical site is open to the public as a self guided trail that winds through the Salmon archaeological site and Heritage Park. 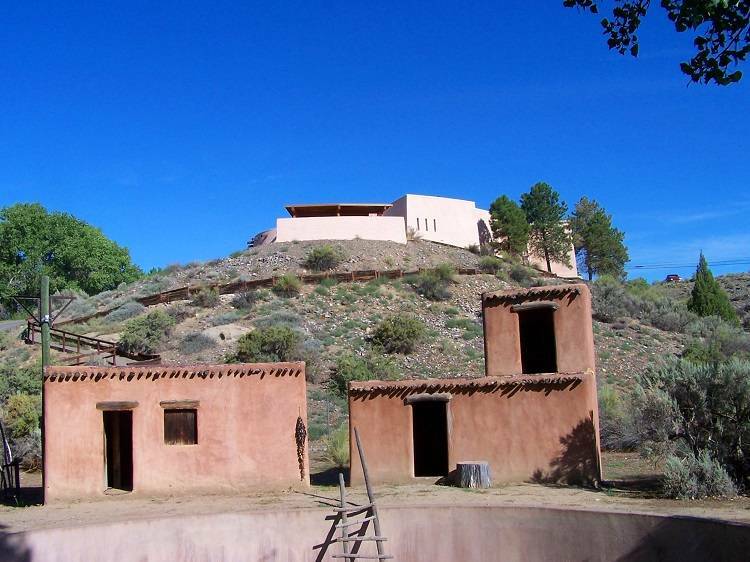 This is a unique opportunity to not only walk among structures once occupied by Ancient Puebloans but to also explore the homestead of early pioneers and replica dwellings from a variety of cultures. Visitors will need a maximum of two hours to tour Salmon Ruins, Heritage Park, the Museum and Gift Shop. Summer hours are April to October, Monday - Sunday from 8:00 a.m. to 5:00 p.m. Winter Hours are November to March, Monday - Saturday from 8:00 a.m. to 5:00 p.m. and Sunday 12:00 p.m. to 5:00 p.m. Salmon Ruins is closed Thanksgiving, Christmas Day and New Years Day. Admission is $4 adult, $3 seniors, $1 ages 6 -16, under age 6 is free. American Association of Museums members are also free. Salmon Ruins hosts a variety of special events throughout the year. Check the community calendar or salmonruins.com for details on scheduled lectures, exhibits, Summer Solstice Events, New Mexico Heritage Preservation Month, Annual Arts and Crafts Fair. 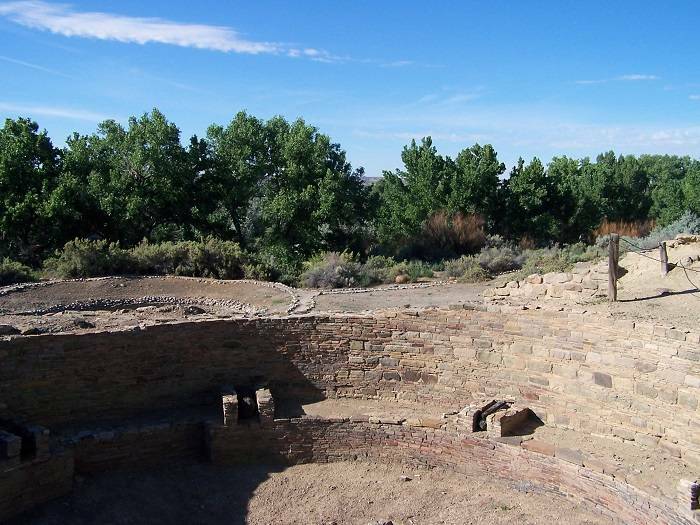 The ruins found at Salmon, a large Chacoan Anasazi living complex, date back to the 11th century. Once the largest outlying Chaco Canyon colony, Salmon Ruins was occupied by an estimated 200 to 300 people. The structure stood three stories high and featured a central towering kiva, great kiva and more than 200 rooms. The distinctive style of stonework used is the same as that found at Chaco Canyon (Chaco Culture National Historical Park). The first or Primary Occupation began A.D. 1088 and the Secondary Occupation began after the abandonment of Chaco Canyon and involved major modifications of the original architecture. The remodeled Pueblo became the largest on the San Juan River until it was officially abandoned in the late 13th century. Salmon is unique in that research at the site continues. In 2008 Salmon Ruins archaeologists discovered a Summer Solstice and Lunar Standstill Observatory. Their findings were published in 2013. Since the discovery, an annual Summer Solstice event is held with Archaeoastronomy presentations. Heritage Park features the 1890’s homestead of the Salmon family that protected the ruins for almost a century. In addition to the Salmon Homestead, Heritage Park features a variety of early dwelling replicas from different cultures through time. These dwellings may be entered and experienced providing a fascinating look at the evolution of dwellings and are very popular with children. The Salmon Ruins Museum exhibits some of the one and a half million artifacts recovered during the excavations conducted in the 1970’s. Temporary exhibits are also on display and changed throughout the year. The newly remodeled gift shop is a must if shopping for authentic Native American art. The shop carries the arts and crafts from local Native American artisans. The collection features Navajo and Hopi contemporary and traditional art including kachinas, jewelry, pottery, fetishes and authentic Navajo rugs. They also have an extensive collection of books, postcards and t-shirts. Let the knowledgeable staff at Salmon Ruins lead you on a tour of Chaco Culture National Historical Park, Navajo Pueblitos and Rock Art, the Bisti Wilderness, area natural arches or build your custom tour. Discover the remote New Mexico scenery with the experts and learn the secrets of the land of enchantment. Tours include transportation, lunch and guide service. Visit Journey Into the Past for more details or call 505-632-2013. Salmon Ruins Museum is also home to the Division of Conservation Archaeology (DCA). This firm offers cultural resource management, archaeological clearances, and mitigation services. Their archaeologists are permitted to work in New Mexico, Arizona, Colorado, Utah; on the Ute, Navajo and Jicarilla reservations; and on State and Federal Lands. The Salmon Ruins DCA Stabilization Unit provides accurate and quality architectural stabilization and preservation services. Their team of skilled masons are recognized throughout the region for the quality of their stone cutting, mortar development, and stabilization work. The team at Salmon Ruins also works with the Northwest New Mexico Site Steward Program. Site Steward volunteers are committed to cultural resource preservation activities that reduce the occurrences of vandalism of destruction of our non-renewable cultural and historic resources. Equally, it is a Site Steward goal to increase public awareness of the significance of these unique sites, to educate others about the damage and destruction done by looters and artifact hunters, and to discourage the illegal sale of looted antiquities. The program seeks volunteers who have a love of the outdoors and a strong interest in cultural resources. If you are interested in learning more about the program, call Salmon Ruins at 505-632-2013 or use their Online Contact Form.